Amber M. Natali, age 41, passed away on January 31, 2019 at her home in Frederick, Maryland. Her service will be held at Clayton United Methodist Church on Friday, February 8, 2019 at 11am with Reverend Earl Lalone Pastor officiating. A Celebration of Life will immediately follow at the Knights of Columbus hall – 460 James St, Clayton , NY. Born August 12, 1977 in Watertown, NY. Amber was a 1996 graduate of Thousand Islands High School where she was an all star athlete in Soccer, Softball, and Hockey. Amber went on to school at North Country Community College and then to Mercyhurst University where she received her Masters degree in Sports Marketing and Business. Amber worked for Nike Hockey for many years out of college, which led her to live in New Jersey and Pittsburgh. After leaving Nike she moved back to New York for a few years, then spent the last four years in Maryland. Growing up, Amber’s passion was hockey. She started playing at the age of five and loved being in the net. Amber was a fierce competitor and played on both the girls and boys teams in high school. After high school, Amber went on to play for Mercyhurst University from 1999-2001. In college, Amber was quoted saying, “I play for the pure love of the sport. Hockey has been a passion I haven’t been able to get enough of”. She developed a love for the New England Patriots and found joy in watching Tom Brady destroy the rest of the league. As a child, Amber loved to spend time on Grindstone Island with her family and loved to be at Potter’s Beach. Even after moving out on her own, spending time with family in New York, Maryland, and Rhode Island was always her priority. Her family was everything to her. Amber loved being an Aunt and cherished spending time with her niece and nephews. She wanted to be the fun, loving aunt, and she was! Amber is survived by her parents, Nat and Mary Natali of Clayton, NY and Clay and Kay Kolle of Derwood, MD; her siblings Vic Natali and his wife Tashua, Courtney Wright and her husband Chris, Erin Kolle, and Ben Hargrove; niece and nephews Caroline, Sean, and Beckett Wright, and Eli Natali. She leaves behind her grandmother and many aunts, uncles and cousins. In lieu of flowers, the family is asking that donations be made to: Dodge Hall, 14972 Lovers Lane, Clayton, N.Y. 13624 or T.I.E.R.S, P.O. Box 524, Clayton, N.Y. 13624. Amber was a kind, thoughtful, hard-working, loving person who was always up for a good laugh. She will be missed by many. My thoughts and love go out to you Nat, Mary Ellen and the rest of your family. Words seem so insignificant at a time like this. If you need anything at all get ahold of me. Love you guys. I had the pleasure of working with Amber at Wolf Furniture in Frederick. 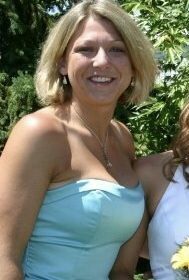 Amber, was a great lady always smiling, always helpful, a truly wonderful person. She is gonna be missed by so many. I am so sorry for your loss. Please, know you are in my prayers. Sending love and peace. We are so sorry for your loss. Please know we are here if ever you need us. Very sorry for the loss of Amber! Such a sweet young lady. Sending out prayers hugs and hope, to Nat, Mary and family. So sorry for your loss. Amber will be sadly missed. Sorry for your loss. I went to high school and played soccer with Amber. So many fond memories of laughing with her about the goofiest things, including “securing the girls” before a practice/game with duct tape. I am so sorry for your loss. Amber was a great friend to my daughter and helped her through some very tough times. I will always remember Amber with gratitude in my heart for her kindness and compassion. God bless. I don’t know you personally, but I just wanted to express my condolences to the family on Amber’s passing. I know that she is now happy in heaven that her Patriots won their 6th Super Bowl. Cherish her memories knowing that one day you will see her again in heaven with her Lord. I graduated with Amber. She was a great person and friend. R.I.P. thoughts and prayers to the family. Sending hugs and prayers to Mary and Nat and the rest of the family. May she fly high. Sorry to hear the news of Amber. Prayers for all the family. I am so sorry. I have so many great memories of getting into mischief with Amber. She always had the greatest smile and a large presence. Sending everyone healing vibes. May the four winds carry you home Amber. Of the power of a women, that there is nothing you can’t concur! Amber had a very sweet sole is what I will always remember! Fly high! I worked with Amber at Wolf’s Furniture in Frederick, Maryland. She always had a lot of energy, was very positive, and always helpful. I am still devastated and missing her. God Bless all of you at this time. You are all in my prayers. I worked with Amber at Wolf Furniture in Frederick, Md. She was always there to help anyone with anything. I was new and anytime I needed a question answered she was always there to help me. She was very intelligent and always had a positive outlook on things. I miss her terribly and things just aren’t the same at Wolf Furniture. Amber was a coworker at Wolf Furniture in Leesburg , Virginia. We enjoyed her energy, that easy smile, and her amazing spirit. She was always there to lend a helping hand or share a laugh. I’m truly sorry for your loss. Amber is missed by her friends and colleagues.